I am super obsessed with clean toothbrushes, I mean, we keep them in the bathroom...where people POO...it just never felt right to me. So I usually buy some kind of a case to keep them in, because to me, it's just gross. 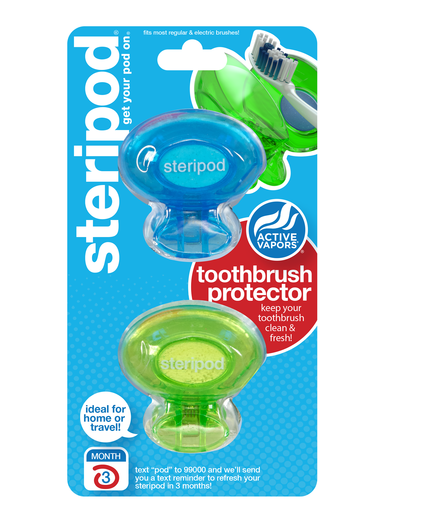 Recently I had the chance to try Steripod Toothbrush Protectors, and I love them!! 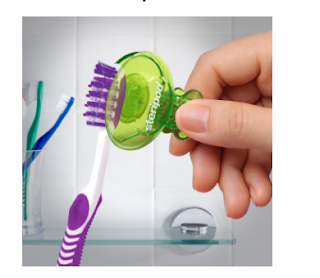 Steripod clip on toothbrush protector with active vapors fits any standard or electric toothbrush and keeps your toothbrush clean and fresh for up to 3 months. 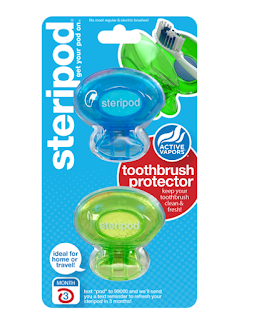 Perfect for home, gym, school or travel, steripod clips-on your toothbrush and protects! - without the hassle of batteries or cables. Never worry about how clean your toothbrush ACTUALLY is ever again. The Steripod actually has VAPORS inside that keep your toothbrush clean, how cool is that!! You can purchase them at Target, and other retailers.